Centennial Golf Club was designed and developed in keeping with the richest traditions of the game. The total golfing experience at Centennial is on a level with the country’s most prestigious private clubs. The 27 hole championship course was designed by Larry Nelson who called this 340 acre tract with its spectacular views, “the most naturally suited to golf” he has ever seen. With 27 holes of fantastic golf, as well as a superior practice facility, GMS is extremely exicited about having our Golfers attend our program at Centennial Golf Club. The GMS Program includes 6+ hours of instruction each day, which includes 6 holes of On-course Instruction on the Centennial Golf Club each day, the Instructor For Life Program, lunch at the clubhouse each day, and so much more. Also, as with all Golf Made Simple locations … the classes at Centennial Golf Club are limited to 4 Golfers. We Certainly Gained A Lot Of Knowledge To Improve! My wife and I just completed your three day class at the Centennial Golf Course in Carmel, New York. 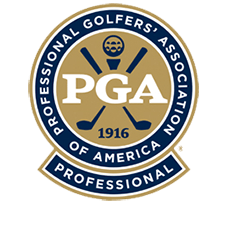 The facilities were excellent and I want to commend Dominick for his approach, interpersonal skills and dedication to ensuring all attendees saw improvement and had the opportunity to have all of their burning golf questions answered. Your entire program was very thorough and structured and provided us a great foundation to build upon. We certainly gained a lot of knowledge to improve! Thank you again for giving us a great experience with Dominick. “Tick-tock” will stay forever in my brain. Centennial Golf Club is known for having a beautiful golf course with pristine playing conditions that rank with the best in the Northeastern US. From fairways that have your golf ball “sitting up”, to greens that roll “true”, as well as the finest grass to hit off of at our private practice area at the golf course. As we have played some of the best golf courses on the East Coast, we believe this is one of the most beautiful golf courses in the eastern United States. As you can see – we love our location at Centennial Golf Club. And we’re sure you’ll also fall in love with this fantastic golf facility. This is pure golf at it’s finest! Our Practice area features a natural grass tee, as well as chipping greens, a putting green, a sand bunker and a few other greens that are used for longer pitch shots. Plus, if you’re the kind of Golfer that likes to practice every possible scenario you could encounter around a green, Centennial is the place for you. This maybe the best practice area in the NY, NJ, and Connecticut region.